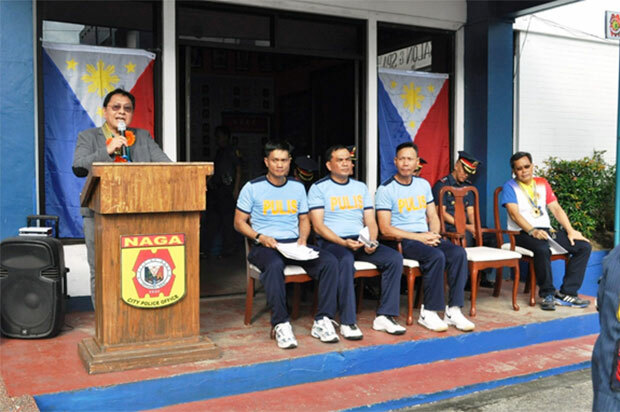 The Metropolitan Naga Water District (MNWD) Chairman of the Board of Directors and incumbent Chairman of the Philippine National Police (PNP) City Advisory Council Jorge T. Palma was the Guest of Honor during the 23rd Police Community Relations Month Celebration by the Naga City Police Office (NCPO) last July 2, 2018 at the NCPO Ground, Barlin St., Naga City. With this year’s theme “Tapat na Serbisyo at Paglilingkod ng Kapulisan Kaagapay ang Mamamayan, Hatid ay Kaunlaran,” the event was meritorious not only to the NCPO but, also to the MNWD community for the trust and recognition to the water district as one of their partners in community development with the invitation of Chairman Palma as their Guest of Honor and Speaker. It can be noted that NCPO-PNP and MNWD has been partners specific to the protection, conservation, and management of the Mt. Isarog Natural Park (MINP). This proactive partnership ensures eco-tourism, environmental awareness, and socio-economic development in all activities of the MINP including its adjacent communities situated at Barangay Panicuason, Naga City. Further, early this year, the MNWD sought the assistance of the NCPO during the 2018 World Water Day celebration for the security protection of our distinguished guests for the whole duration of the said event. 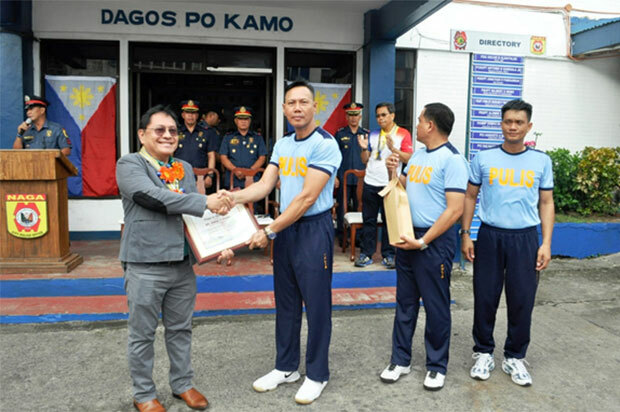 In line with this, the NCPO-PNP awarded Certificates of Appreciation to all participating agencies and stakeholders including MNWD for their vote of confidence and support to the initiatives of the city police. 23rd Police Community Relations Month. Chairman Jorge T. Palma (left) as the Guest of Honor and Speaker at the 23rd Police Community Relations Month Celebration of NCPO-PNP together with PSS Jonathan O. Panganiban, City Director NCPO (2nd from left).